(NOTE: Agenda posted HERE. 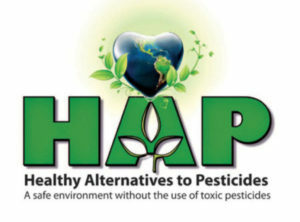 You may contact them directly at (408) 265-2600). The Santa Clara Valley Water District will soon vote on the Delta Tunnels project. We need to make sure that they vote NO. The public meeting on August 22nd is potentially one of their last meetings before a vote in October. At the last public meeting, the Santa Clara Valley Water District Board expressed many concerns about supporting the Delta Tunnels project and asked for more public input, click here to see the live tweets. Please plan to join us to voice your concerns. 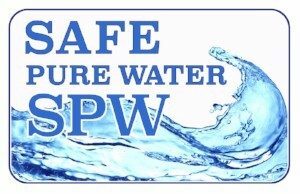 If you need help formulating a 2-3 minute public comment, send us an e-mail at info@safepurewater.org or give us a call at (408) 687-5958. Governor Brown’s Delta Tunnels project–formally known as CA WaterFix–proposes to construct two massive forty-feet in diameter tunnels 150 feet underground that span for thirty miles. This massive water conveyance project poses a significant threat to the health of San Francisco Bay-Delta Estuary–the largest estuary on the West Coast of the Americas–its native and migratory fish and wildlife population, environmental justice communities in the Delta and Bay area tourism, and the water supply reliability of the entire state. The project would impose three north Delta intakes that would divert freshwater from the Sacramento River into the tunnels before ever entering the Delta. When freshwater is not allowed to filter out salt water from the Bay and pollutants and sediments from the heavily polluted San Joaquin River, the quality of the Delta watershed is significantly compromised, and the Delta ecosystem collapses. On top of obliterating an entire ecosystem, the Delta tunnels will impose billions of dollars in debt onto state taxpayers for as long as 75 years after a noisy, pollution-ridden 14 year construction period. The Santa Clara Valley Water District will soon vote on whether to participate in the financing and use the CA WaterFix Project. If you find that there is no way you can attend, you can find your board member here and contact them directly by clicking on their bios. 1) You do not want to pay for a project that will cost $17 billion before cost overruns and that will not provide the Silicon Valley with an additional water supply. Staff estimates of increased water supply reliability are not accurate as they do not factor in climate change modeling done by environmental NGOs. 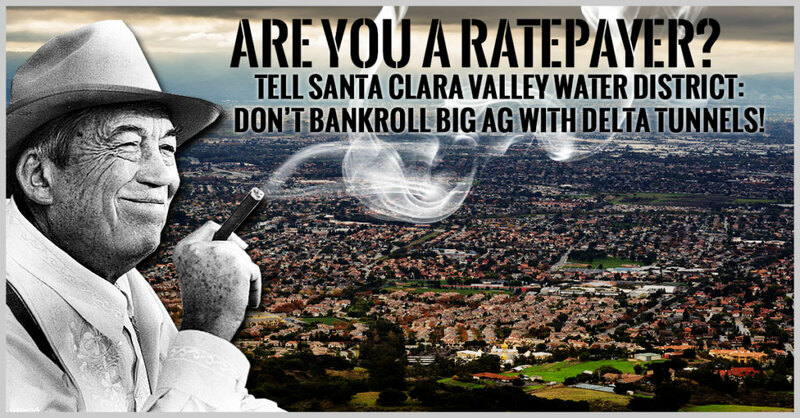 2) You do not support a project that will result in worsened water quality for the South Bay. Water quality in the South Bay is directly dependent on flushing action from fresh water in the Sacramento River through the Bay-Delta estuary. 3) You do not support a project that will divert even more water from the already ailing San Francisco Bay-Delta estuary to industrial agriculture known for record use of pesticides and chemicals that get into our food and water supply. 4) You do not support Santa Clara Valley Water District partnering with San Luis Delta Mendota Water Authority to weaken Bay-Delta water quality standards through litigation or public media campaigns. 5) You support use of ratepayer money toward conservation, stormwater capture, groundwater capture and clean up, and recycling. 6) You do not support the use of Ad Valorem property taxes to pay for Delta tunnels planning, construction or operation, or for supporting anti-Delta programs in partnership with San Luis Delta-Mendota Water Authority.